Americans crave a maverick “outsider” who will set the country straight. The money changers are happy to oblige. Trump is as phony as HOPE & CHANGE has proven to be. You can tell a lot about a person by the company that they keep. First photo top left speaks volumes. 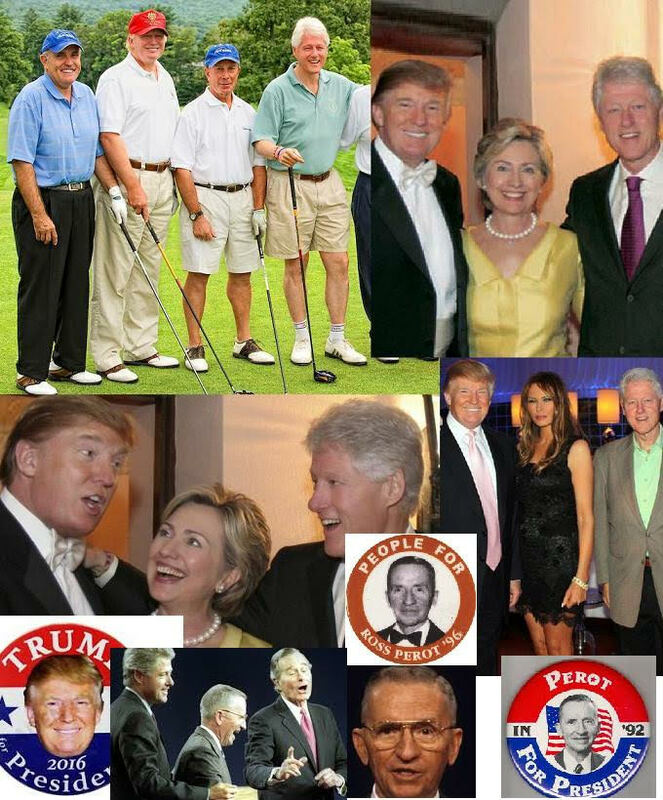 Yep…”3rd wheel Trump”! Surprise, surprise. They use the same tactics over and over again. They should be predictable enough to take them down. Political theatrics, as per usual.